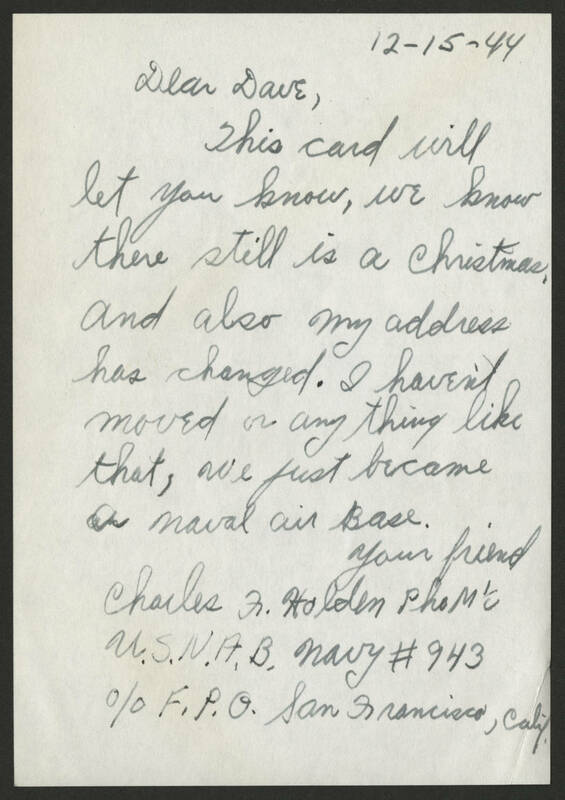 12-15-44 Dear Dave, This card will let you know, we know there still is a Christmas. And also my address has changed. I haven't moved or any thing like that, we just became a naval air base. Your friend Charles F. Holden PhoM 1/c U.S.N.A.B. Navy # 943 o/o F.P.O. San Francisco, Calif.